He’s faulty. Malfunctioning. Kept babbling on about his mission. 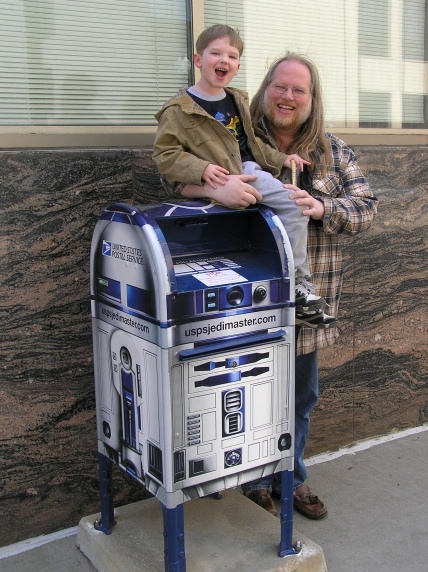 I promised to post a picture of the Artoo mailbox in Saint Paul, didn’t I? Yup. Guess I did. This entry was posted in scifi, star wars by dmichaelmay. Bookmark the permalink. That is pretty doggone neat. Hey, we have one of those about two blocks from our house. I thought it was the only one. “I expect mailman looks like C3PO”Heh! Now that would be a promotion!